Unity is a well known desktop environment developed by Canonical for Ubuntu specifically. It is well known for features like simplicity, power and integration for both users and app developers. The unity project was started in 2010 by Canonical and was aimed for notebook users but it has spawned a great deal for desktop and mobile devices as well. It offers a consistent and elegant desktop environment for ubuntu desktop and notebook users. The most recent under development version for Unity is 8, we will be reviewing its prominent features and installation process in the article. It will be using Mir Display technology, which aims at replacing the traditional X system. We hope to see a lot more once the development for this is completed and we can experience stability and maturity in offered features at that point. 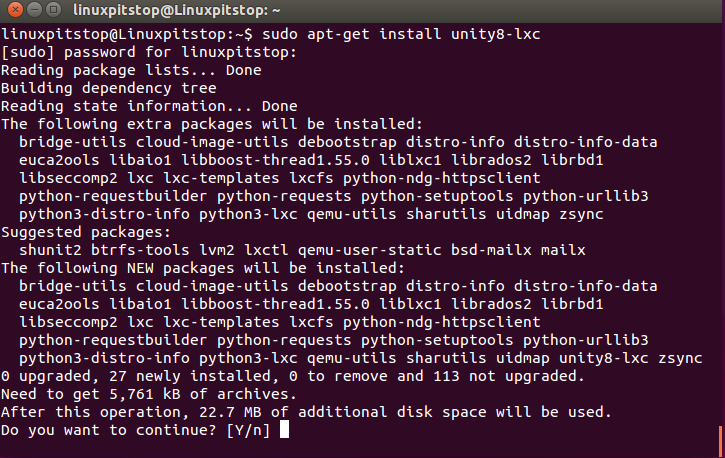 Once updates process finishes, run following command to initiate the install of the Unity 8. Reply with “Y” when prompted for confirmation of download. That’s all, It will take a sweet amount of time to download and install all required components. 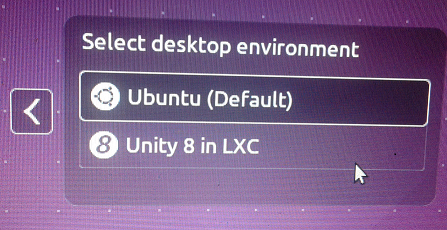 Once the installation process is complete, you can launch Unity 8 dekstop from your login menu. Reboot your system or Logout your current session and on your login window, you should be able to see Unity 8 Desktop environment in the drop down menu. Login and Enjoy ! Unity is not resource hungry, but if you need to remove it for any reason, the uninstall process is simple as well, run following command to remove it. You need to reboot your system or logout your current session to erase the traces of this desktop environment. Unity is a feature rich, evolving desktop environment, most Linux distros are planning to have it as as a part of native desktop environments. Currently Unity has some limitations too with respect to graphics drivers, but we can hope to see lot of fixes in upcoming releases. What exactly error you are facing? sorry the forum language isn’t English so I’m not properly understanding your issue.